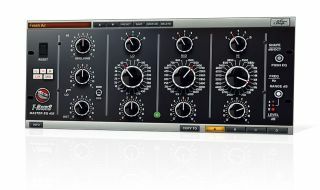 Many plugins, including IK Multimedia's Master EQ 432, are based on classic hardware EQ units. MASTERING WEEK: Although there are countless software EQs on the market, when it comes to dedicated mastering-orientated plugins, they really fall into two main camps: those that attempt to model a piece of hardware and those that don't. OK, so that may be a bit of a generalisation, but on the whole, you'll find that that the major developers tend to go for one or the other with each release. EQ plugins that attempt to model much-coveted mastering hardware tend to impart a good dose of character and harmonic distortion, while the alternatives are cleaner, more surgical, and don't claim to mimic any particular device. Both kinds are useful, but which is right for you? An EQ modelled on hardware will add bags of tone to your master, and thus is ideal if you feel that the whole mix is a little antiseptic or 'digital' sounding. Analogue-style EQs will generally be more musical and 'forgiving', allowing you to add a lot more gain before things start to fall apart. The word 'musical' is subjective and basically means that the overall sound of a unit gels organically with instruments in the mix. All of this is awesome, of course, but you will know when this sort of EQ is in your chain, as you'll hear it imparting its personality. Perhaps this colouration is what you're after, in which case you're on the right track. But if you prefer something cleaner or just need absolute transparency, you'll want to look elsewhere. There are many equalisers out there that provide crystalline clarity, usually alongside surgical controls that enable truly precise frequency shaping. Take a look at FabFilter's Pro-Q 2 for a great example of how flexible and accurate a pure 'digital' EQ can be. Add to this features such as linear phase processing and you have a very potent mastering tool indeed. There are a also few EQ plugins available that incorporate both analogue emulation and clean models. These can be ideal if you're on a tight budget or just prefer a single, streamlined option.